This select park of six acres situated on the seaward side of the Bridport to Weymouth road overlooks the famous Chesil Beach, one of the most beautiful parts of the Dorset coast. If you are thinking of buying a holiday home at Gorselands then you'll find your caravan set in a lovely valley with panoramic views of the beach and Lyme Bay. The road past Gorselands goes literally on to the beach at West Bexington where there is a large car park and cafe. If you'd like to visit Gorselands and discuss holiday home buying opportunities, call Surf Bay Leisure and we can go everything you need to know step by step. 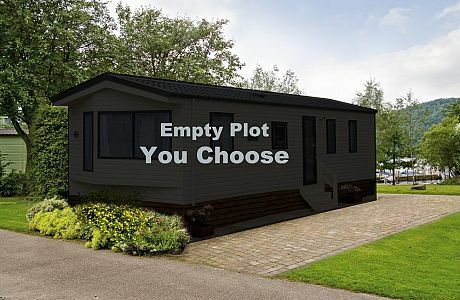 Vacant plot available at Gorselands Caravan Park.